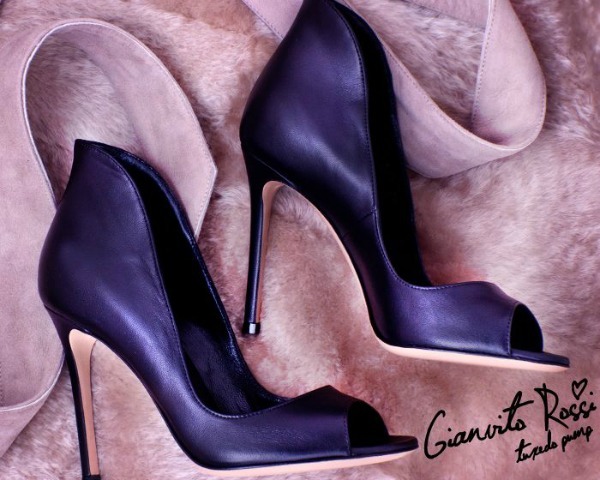 Do I need a pair of Gianvito Rossi pumps? No. Do I want a pair of Gianvito Rossi pumps? YES. I've been dreaming of owning a pair of Gianvito Rossi Italian leather pumps for what I feel is forever and when I heard that Eva Chen, editor-in-chief of Lucky, loves them as much as I do I was only further convinced of my "need" for a pair. The popular low-cut vamp works to elongate your legs and the heel's high-cut collar is Rossi's signature. These two-tone black and white booties may be my favorite shoes at the moment and I think I may need to call these the splurge of the year for me. Thoughts? But how to choose? They are all so gorgeous! Ohhh, those metallic silver ones are calling my name! Wow, those are all amazing! Beauties! I love all of these! And Eva Chen has the best taste. I already love what she has done to Lucky. So gorgeous! Those last ones are amazing!